The new Focus™ Lite 14" Horizontal Contour Projector® is an extremely high quality, rugged benchtop machine with industry-leading technologies, at an attractive price point. With Focus Lite, you always get the most for your money, with innovative features. Innovative, new all-LED TruLight® illumination. 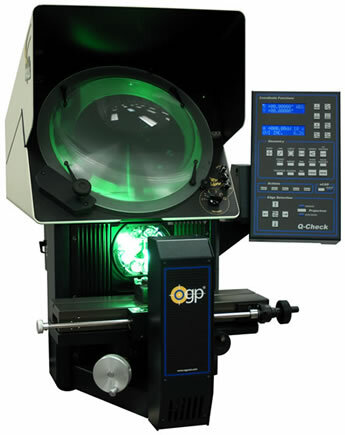 Superb telecentric optics yield inverted and reversed images. Constant working distance at all magnifications speeds setups and measurements. Rigid cast base for metrological stability. Multifunctional Q-Check® Digital Readout for geometric processing power is included. Options make Focus Lite do exactly what you want it to do.